1) Somewhere between being herded in and out of the airport and rounded up on and off the airplane–peanuts tossed at you like feed–it’s easy to get the feeling that, when traveling by air these days, you’re being treated like an animal. Buddy, you should be so lucky. 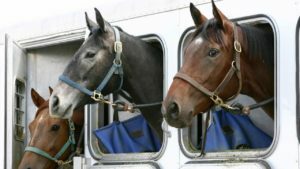 Every stripe of animal–from pets to performers to pack mules–are increasingly being transported by air, a change of venue that has led, in many cases, to better conditions bordering on posh. 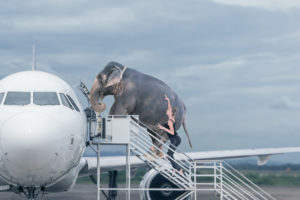 We’re talking climate-controlled suites and bone-shaped pools at airport animal lounges and airlines wholly dedicated to the care, feeding and calming of animals in the air. Sound familiar? Yeah, didn’t think so … you gonna eat those peanuts? 2) The growth of the animal logistics industry is about moving everything from dogs and cats to fish–you’d be surprised how many–races horses, performing horses and animal models because, yes, we live in a world where there are now animal models (“Patches drinks mineral water, not flat!”) And perhaps nowhere can one see this growth more clearly than the Frankfurt (Germany) Airport’s Animal Lounge. 3) The Lounge is a 43,000-square-foot animal holding area, the world’s busiest animal airport hub. 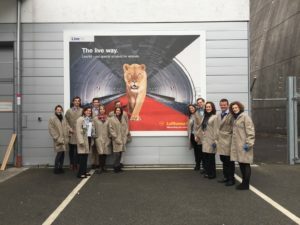 Celebrating its 10th year of existence and run by Lufthansa, it is equipped with non-slip floors and climate-controlled chambers to help make an animal’s stay as comfortable as possible. There are 60 trained vets and qualified animal handlers on hand around the clock. It handles around 100 million animals annually, ranging from domestic pets to livestock to animals destined for zoos, wild animal parks and the Olympics. They still tell the story about the time the lounge hosted a polar bear on his way back from a photo shoot in the Alps. 4) The success of the Frankfurt Lounge has inspired similar properties at airports around the world, including many in the United States. An outfit called Pet Paradise actually has multiple locations at airports across the nation–Orlando, Houston, Charlotte–with facilities featuring play areas, cat condos, swimming pools and webcams for customers to keep watch over their furry friend(s). 5) As with all things shipped, there was a time in the not too distant past that animals were moved by, well, ships. Ocean travel is especially hard on animals because transit times can take weeks and conditions on board can be trying. 6) Australia is one of the largest exporters of live animals in the world and reported that during the 1980s and ’90s, of the 1.28 million cattle it exported by ship, there was a 3 percent mortality rate. 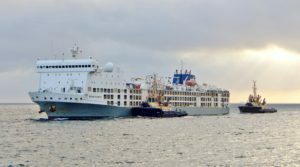 Now that rate for 1.3 million cattle is just 0.12 percent, having a lot to do with improved ship conditions and increasing numbers of animals being moved by air where trips are much shorter and conditions more manageable to monitor. 7) That doesn’t mean air travel doesn’t have its own dangerous issues, sometimes for the humans transporting the animals. A few years ago, a cargo flight from Chicago O’Hare Airport to Brussels National Airport was carrying 390 cows on the main deck. While cruising over the Irish Sea the crew received a warning that there was a fire on the main deck. When crew members went onto the main deck, they saw no sign of smoke or fire. Still, the crew made an emergency landing at London Heathrow Airport where, again, there was no evidence of smoke or fire. 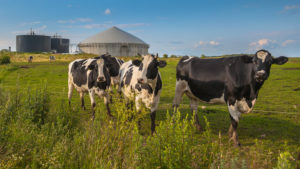 After an investigation, it was determined that the presence of the cattle led to higher than normal levels of humidity and methane–burp–that caused the warning. 8) The most common animal shipped may surprise you: It’s fish. Ornamental fish is estimated to be a $3 billion industry worldwide, more than half of that from Asia, where the sector plays a major part in many country’s economy. Of the 110 million animals that go through Frankfurt, about 80 million are fish. 9) As with any industry, popularity breeds issues and the animal industry has its fair share, most especially the illegal animal trade. 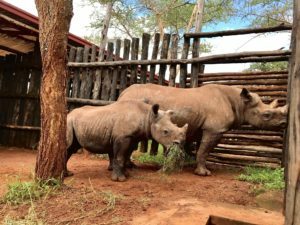 National Geographic has estimated that wildlife trafficking could be the world’s most profitable form of illegal trade. That has moved numerous members of the transportation and logistics industry to take action to do their part to end the practice. 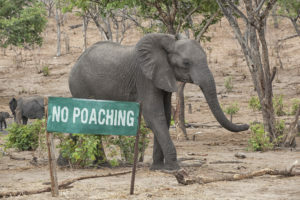 10) In 2015, representatives from logistics and transportation companies operating in China made a public declaration pledging zero tolerance toward the illegal wildlife trade. 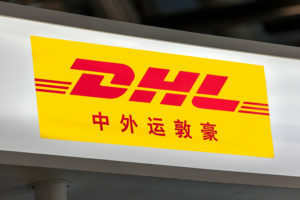 Companies included DHL, FedEx and SF Express, accounting for the majority of the Chinese courier market. 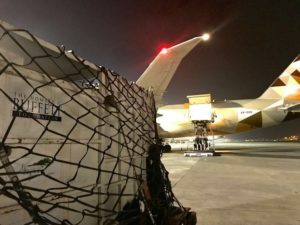 11) That same year, the Declaration of the United for Wildlife International Taskforce on the Transportation of Illegal Wildlife Products was signed by some 40 corporations and organizations, including Maersk, IATA and the World Customs Organization. 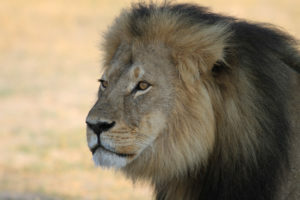 Following the high profile killing of Cecil the lion in July of 2015, Delta Airlines banned all lion, leopard, elephant, rhinoceros and buffalo trophies in the cargo holds. United and American Airlines later followed suit. 12) Frankfurt’s Lounge handles its share of exotic wild animals but before animals are released, officials ensure that both buyer and seller have all veterinary, customs and exotic-animal permits in order. Also, to minimize stress on animals like tigers, the beasts are able to relax in a quiet species-appropriate space in the lounge and board at the last minute via a special, air-conditioned, soundproofed vehicle to protect them. Sound familiar? Yeah, didn’t think so … um, so, you gonna eat those peanuts or what?